Who wouldn’t want to party all-night, have lazy days on the beach and sail in a yacht? Mallorca, here I come! Exactly when, I really don’t know. I guess you need to carry a pot of gold to live in a resort, party all night long and charter a yacht. 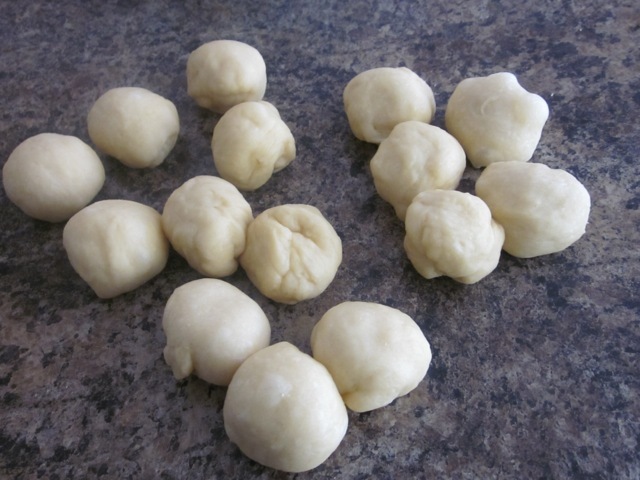 The recipe was traditionally made with some pork lard but I used butter instead. You can eat them for breakfast, as a snack or dunk them in your tea or coffee. I made 16 for breakfast and they were demolished in seconds! I hope you love them too! Please always remember to assemble all ingredients before you start. 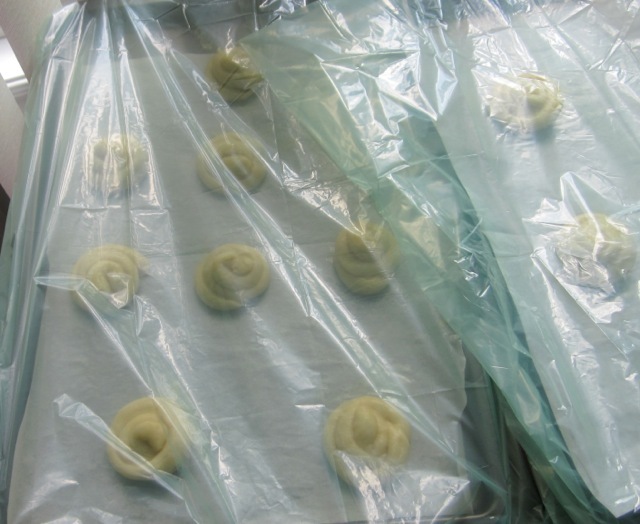 Line two baking sheets with parchment (greaseproof paper). and make a well in the centre. 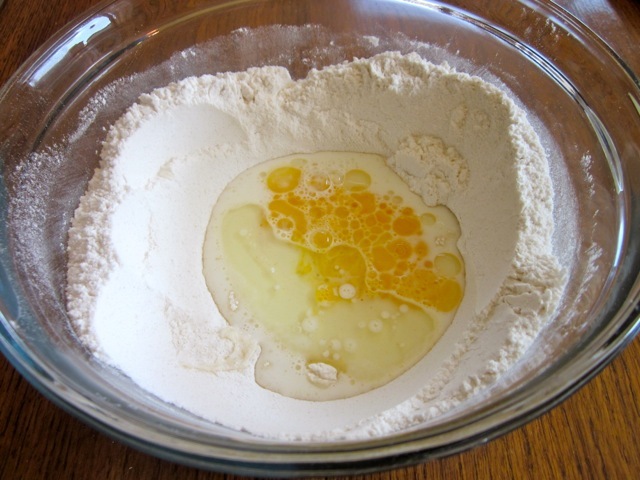 Add the milk, egg and canola oil to the well and mix with a spoon until combined..
and knead 8-10 minutes until smooth and elastic. Place in a lightly oiled bowl and cover with cling film and leave in a warm place until doubled in size for about 1 hour. 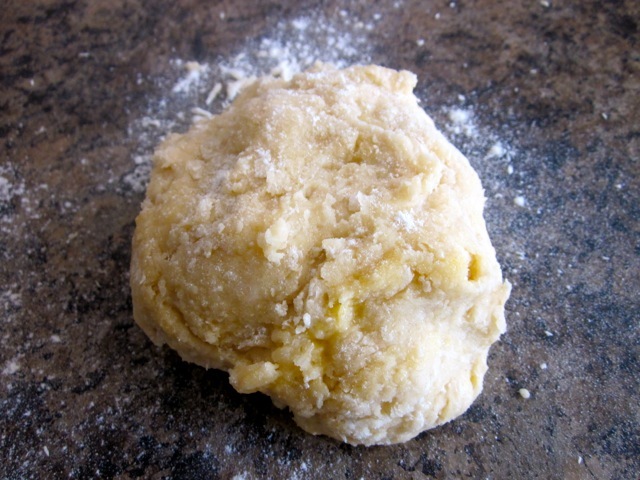 Knock back the dough, and divide into 16 equal parts. Shape each piece into a thin rope about 15 inches (38cm) long. and transfer onto the baking sheet, spacing well apart. Tuck the ends under to seal. Cover with a lightly oiled clear film or transparent bag and leave to rise in a warm place, about 45 minutes, or until doubled in size. Preheat the oven to 375°F (190°C). 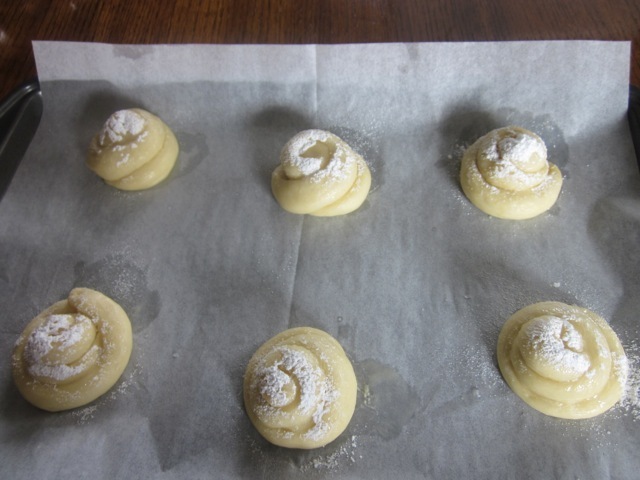 Brush the rolls with water and dust with icing sugar. Bake for 10 minutes or until light golden brown. The buns were delicious. I’ve no words to describe them! 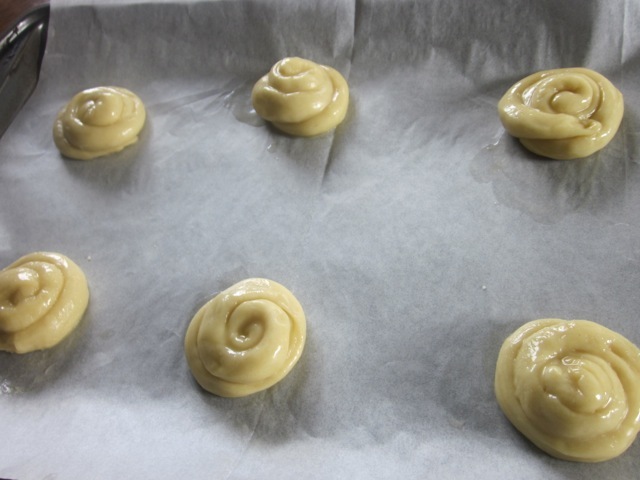 Line two baking sheets with parchment (greaseproof paper). Preheat the oven to 375°F (190°C) ten minutes before using. 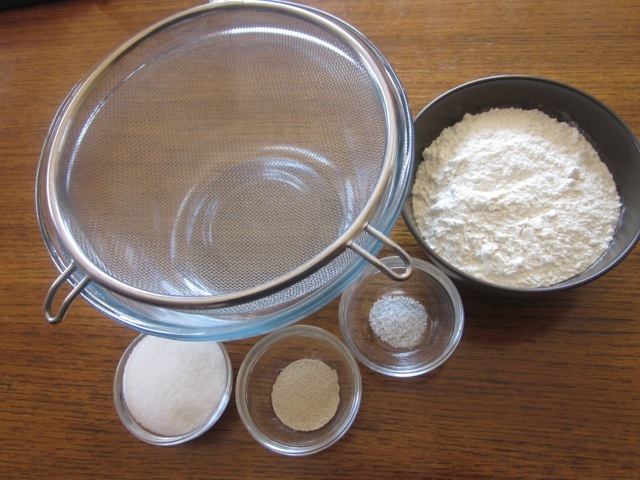 Sift the flour, salt, sugar and yeast into a bowl and make a well in the centre. Add the milk, egg and canola oil to the well and mix with a spoon until combined. 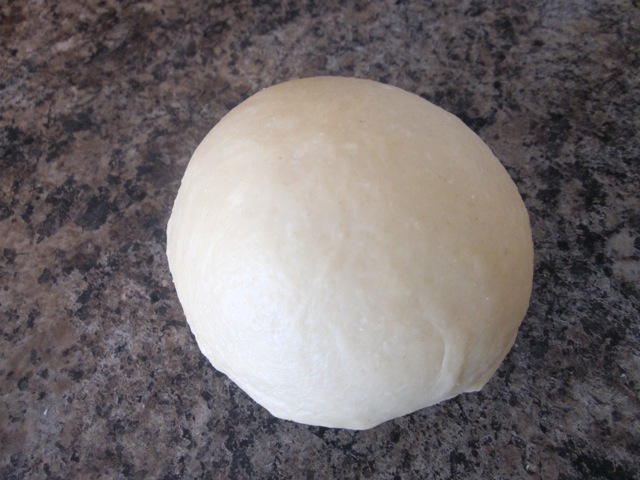 Turn over on to a lightly floured surface and knead 8-10 minutes until smooth and elastic. 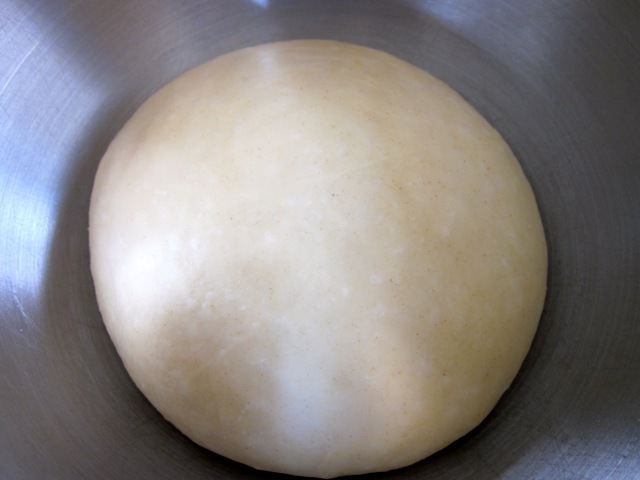 Knock back the dough, and divide into 16 equal parts. Shape each piece into a thin rope about 15 inches (38cm) long. 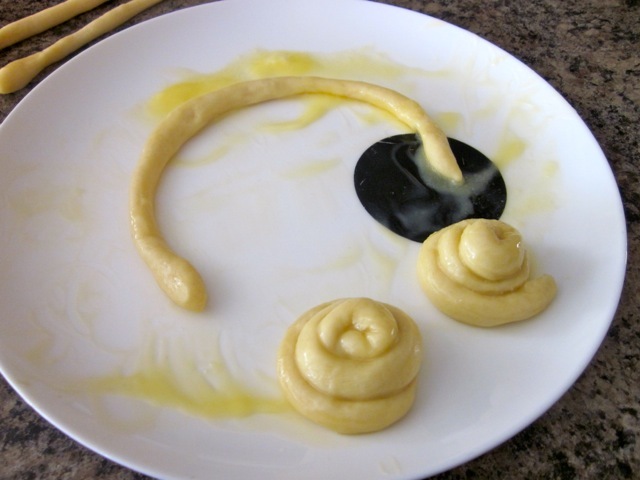 Pour melted butter onto a plate and dip the ropes into the butter to coat. 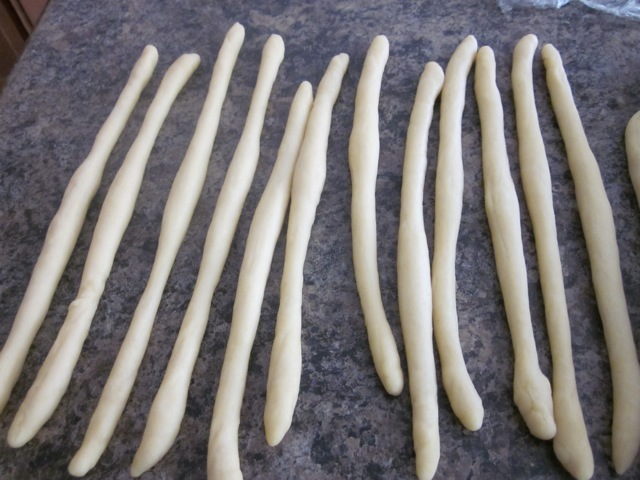 Curl each rope on the plate, into a spiral, and place on the baking sheet, spacing well apart. Tuck the ends under to seal. Cover with a lightly oiled clear film or transparent bag and leave to rise in a warm place, about 45 minutes, or until doubled in size. 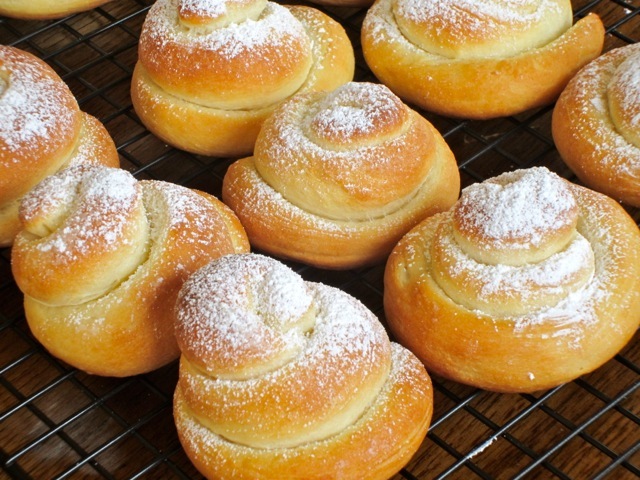 Brush the rolls with water and dust with icing sugar. Bake for 10 minutes or until light golden brown. Cool on a wire rack. Dust again with icing sugar and serve warm. Please note that oven temperatures are given as a guideline only. You may need to add or reduce the suggested temperatures depending on your oven. I baked the at 375°F (190°C) for 10 minutes. Thank you, my dear. Have a wonderful weekend! I totally agree with you. I adore them….have a wonderful week! 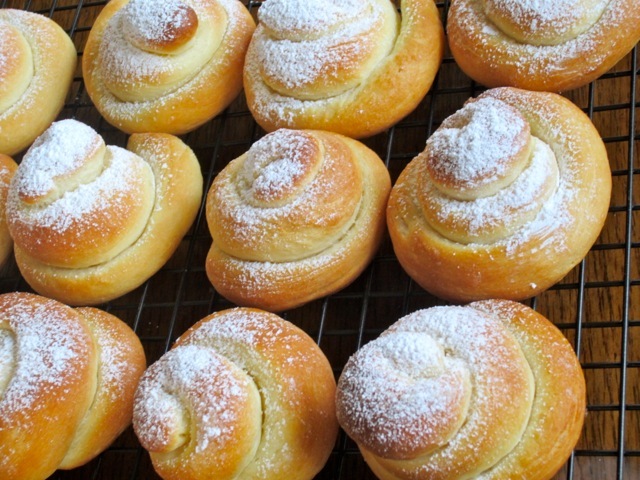 Hi Liz, The sweet buns looks lovely and I would love to bake some to try myself. 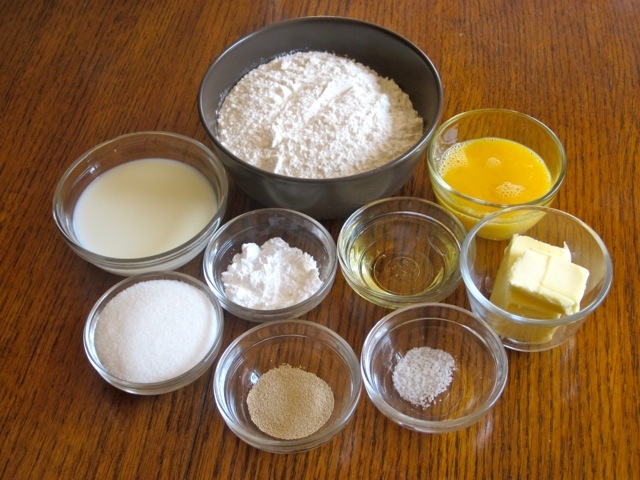 Do you mind if I reproduce the recipe to my site for easy reference? With link back to you of course! Thanks in advance! Yes you can with a link. Sorry I missed the message. What is your site? Ha ha they are truly tasty. I love them more than words can say. How is the Sinabung? Has it finally settled? Best wishes! Sinabung is still spewing ashes. It does not really erupt but has never gone back to sleep. I am actually worried about those people who returned to their villages near the volcano. I think they should consider moving a.s.a.p. Christmas is coming and things must be exciting there! Mmm I know what you mean about christmas. People are already buying and dispatching gifts and our houses are gleaming with X-mas lights. That Sinabung is very scary. I fear for those people too! I have never seen an erupting volcano, live. It must be so damn scary!!! Oh it is scary to see a volcano but there is one thing scarier than that. There have been small quakes caused by the volcanic activities. It is such a scary thing to wake up in the middle of the night and feel the earth shaking beneath. Oh I know what you mean. I would be scared too! What ate you doing over the holiday season? Looks yummilicious!!! 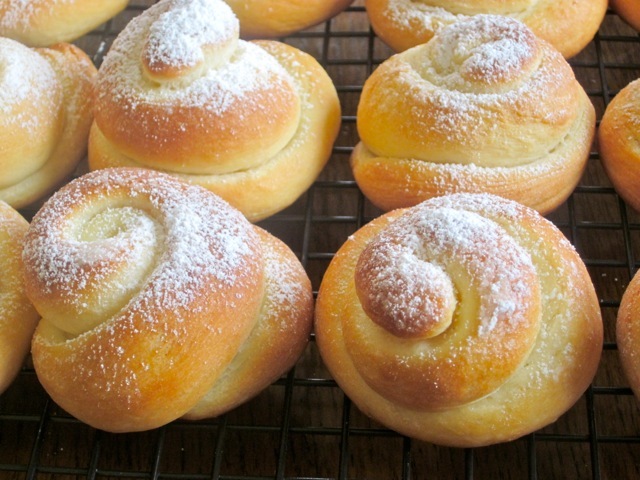 Was just thinking of a bread dough recipe to go with peaches & cream and I think this is it! Tks for sharing! Thanks for complimenting. Enjoy the week! Ha ha I hope you find time to try them. I’m still on a bread journey. it will take some two or so years. Have a wonderful week! ha please find the pot of gold quickly and yes I shall accompany you. I know we would really have lots of fun eating and laughing and eating some more. Have a great week and thanks for visiting! These look fabulous. I must try sometime. Mallorca is a very popular travel destination for the Germans, I remember hearing about it all the time when I lived in Germany. I now have it on my bucket list. I hope one day I’ll get to see it. Have a wonderful week! of course you have hope. I hope you find time to pull them off. Have a wonderful week! just perfect to starting aday…. Thank you, Dedy. Have a lovely weekend! Happy trying and lovely weekend! Thanks for the compliments. Have a lovely week! Oh I wish I could mail some to you. It tasted awesome. Thanks for complimenting! I had never made them before but we adored them. They are delicious. Mallorca is on my bucket list. I hope I’ll be able to visit it in the near future! Have a great week! Thanks for loving my bread journey. It gives me the motivation to continue. Have a beautiful week! I wish you lived closer so I could whip over to try one of the ensaimadas! They are absolutely delicious!!! Have a wonderful week! Absolutely gorgeous, Liz! Oh, I would make myself sick from eating too many! Thank you, Pavla. How are the kids? Have a wonderful week! looks wonderful!! I wish you would also post a picture of the inside…..bread and muffins especially to see if its light or dense…no complaints though!! Next time I make them, I’ll add a photo showing the inside. They are light, soft and slightly crunchy on the outside. I really enjoyed eating them! Have a lovely week! I’ve not seen this bread before. But it looks good. Ha ha Lignum of course I’m going. My driveway is full of snow right now so what a relief to party all night and lay around on the beach….when other Canadians are freezing!!!! Have a lovely week! I’ve been in Mallorca a lot of years ago, when I was young. It’s really easy to go there when you live in Italy! 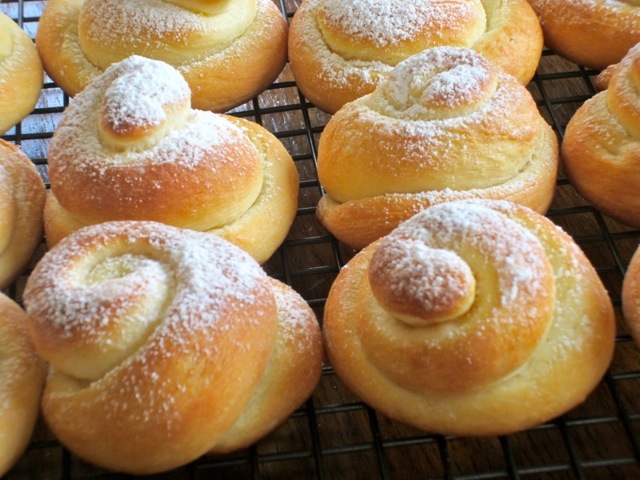 Unfortunately I was to young to remember these amazing buns! I’ve noted this recipe down! Lucky you. I didn’t even know it was an island but the buns are very, very tasty and soft and light..thanks for noting down the recipe. I hope you find time to make it! Thank you, Jeanne! Have a pleasant day! Nice to hear from you. These Ensaimadas were so delicious. The sort, you eat without talking and listen to and savour the taste and flavour. I haven’t been to Mexico either. Maybe one day I shall have an opportunity to be there, like you, and probably party the whole night long…ha ha! Have a lovely week and thanks so much for leaving me a ton of messages. I noticed you have several new posts. Let me check them out right now! Goodnight! Yum!! I grew up with the Filipino version of these. It’s one of my favorite things! I haven’t had the Mallorcan version, which the Filipino one is based off of, I’ve read somewhere. They were super delicious. I really loved them. My kids loved them too! I should try the Filipino version too. Have a great week! They look great, very appealing! I’ve eaten them in Palma, plain, filled with cream and filled with custard. Yum! Thank you. I think the next time, I’ll try them with custard. That sounds very delicious. Thanks for the tip! These look wonderful. Thanks for sharing your recipe. These are gorgeous, Liz! I bet they would melt in your mouth. I definitely want to put these on my list of breads to try. I have a question for you. What temperature do you usually get the milk or water to when using yeast? Or do you even need to use a thermometer any more? I have breadsticks in the oven rising (hopefully) right now, but I always feel nervous until I can see that the dough is growing. I don’t use a thermometer anymore. I just feel it with my hands. It shouldn’t feel like burning. just warm enough. How did the breadsticks go? I’ve been procrastinating about making some. Let me pop over and see them. I wish you a lovely week! Mallorca is a great place! 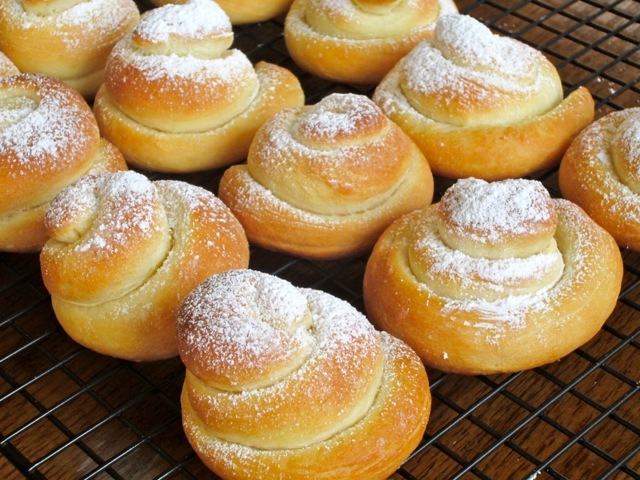 These buns looks wonderful, I think I would of ate all 16 of them. Ha ha all sixteen? that would be really filling but I bet you can eat them all coz they are quite light and fluffy, almost. Have a wonderful week! Wow, they look gorgeous! How interesting that they use pork lard. Glad to hear they turned out so well! What fun! They were so good. irresistible, I can say! have a great week! Oh yes Judie, they taste marvellous. One of the best recipes i tasted this year. Have a wonderful week!